This large and swanky mall is pretty much the complete package. You have your usual range of upscale and local apparel, shoes, jewelry, watches, electronics and other miscellaneous outlets. It has a cinema and the lovely terrace next to the food court has great views of the city. But the interior decoration of the mall is just as pleasing as all the activities it provides. At odd and unexpected corners you can find veritable miniature forests rising out of fountains, giving the mall a very natural and green ambience. The interior architecture is brightly lit and full of clean curves and lines. It's a little farther away from the main tourist area of the town than you would expect but worth it if the weather is bad. Great shopping mall with many restaurants and everything you might need in a shopping mall. 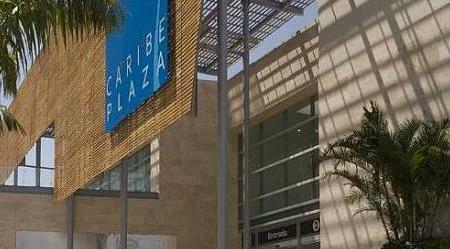 Probably the biggest and best mall in Cartagena. For its size it always give me the feeling it's sill missing a lot but it has probably the biggest supermarket in CTG (Jumbo), a cinema, gym and the usual mall shops so you should be able to find the essentials you need here. You can everything from nuts & bolts to fine dining and dental work. There are banks, clothing stores and intertainment.